Hugh Taggart graduated in 1987 and entered general practice. He has undergone extensive postgraduate training in dental implants, smile makeovers, Inman Aligner and all other aspects of cosmetic dentistry, as well as in routine dentistry. 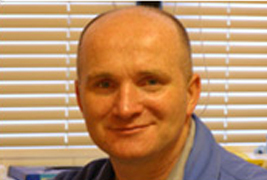 He established his own practice in Pollokshaws in 1990 and moved to the current premises in 2004. The second practice was opened in Seres Road in Williamwood in April 2011. Appointments outside these hours can be arranged, subject to an additional charge. We aim to see all emergencies as soon as possible on the day we are informed. Appointments are kept free each day so that patients who need urgent dental treatment are always accommodated. To help us provide prompt treatment, we would ask patients to contact us as soon as they become aware that they may require treatment. please call the practice number on 0141 636 6303.